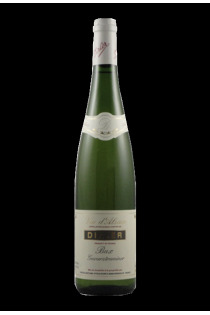 A noble grape variety, selected for the Alsace Grand Cru appellation of origin, the Gewurztraminer is a derivative of the Savagnin Rose. It is one of the emblematic vines of Alsace, where it represents 18% of the vineyard. Visually, this grape appears in small pink or slightly purple clusters. 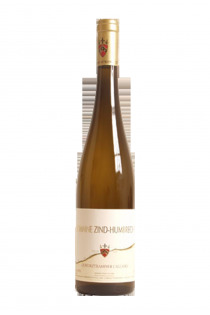 If it resists rigorous winters, Gewurztraminer is an unproductive grape variety that is pruned lengthwise. 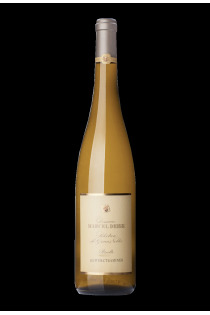 It is vinified in dry or mellow white wine, very aromatic and renowned for its exuberant complexity. In late harvests or Selection of noble grains, it still gains in lubricity and in depth. 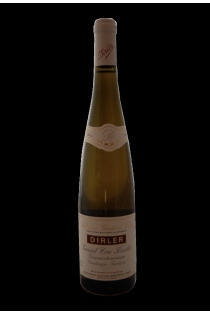 This flagship of Alsace wines has the power to transport the taste buds in a spicy, floral, deliciously sunny universe. Tasting provides an explosion of aromas of exotic fruits, fig, pineapple, lychee, citrus, rose, honey. To this are added pepper, clove and ginger, bringing a more full-bodied hue. We will not be surprised to taste a soft and long wine in the mouth of an exceptional richness. Moreover, "gewürz" means etymologically "spicy". 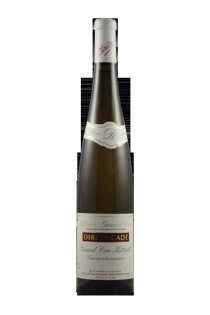 Opening a bottle of Alsace wine Gewurztraminer is a bit of a gustative adventure! Sensual and exuberant, the Gewurztraminer will perfectly support the spicy cuisine of Chinese, Indian, Mexican or Moroccan dishes. The spices used in these dishes will find an echo in the wine that will increase their potency tenfold. Even ginger, sometimes difficult to marry, will be perfectly combined with a Gewurztraminer. 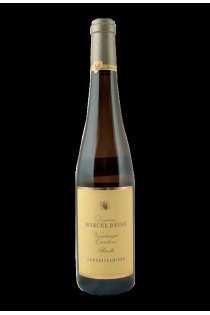 At the end of the meal, the Munster and the Maroilles will take a new measure accompanied by a white wine from Alsace Gewurztraminer.